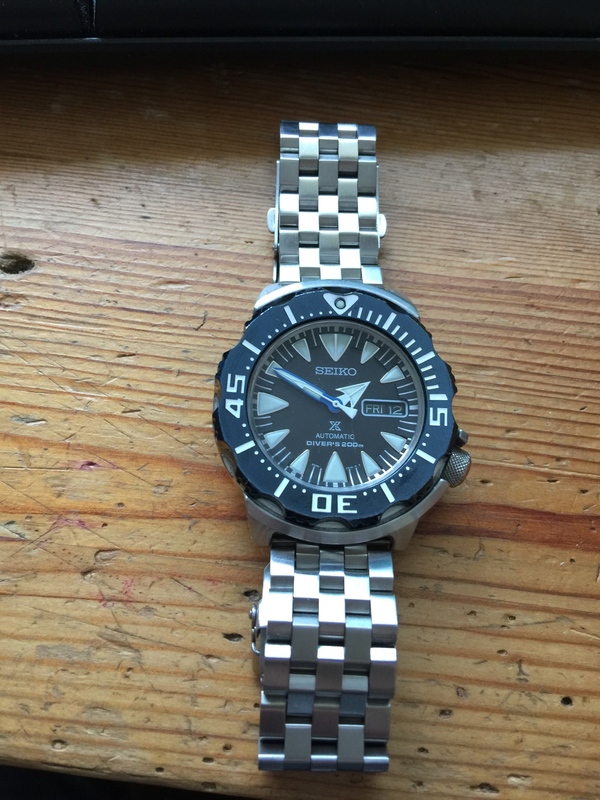 So I have two Seiko Monsters- an SKX779 Gen 1 Black, and a Gen 2 SRP 581 Sea Monster. I have transplanted the movement dial and bezel from the PVD case of the SM to the SS case of the Gen 1. On a super engineer, I love the look! On the converse, the 779 dial and movement look great in the PVD case, but the SS bezel, not so much. I'd like to put a black bezel onto the latter, as it would look great (like the v rare JDM Night Monster). Short of actually buying a black bezel, what sort of result would I get if I just painted the whole thing with black enamel paint, then touched in the markers, perhaps with lume? Would it look crap in a week, or last a bit longer? I would like one day to return both watches to OEM. 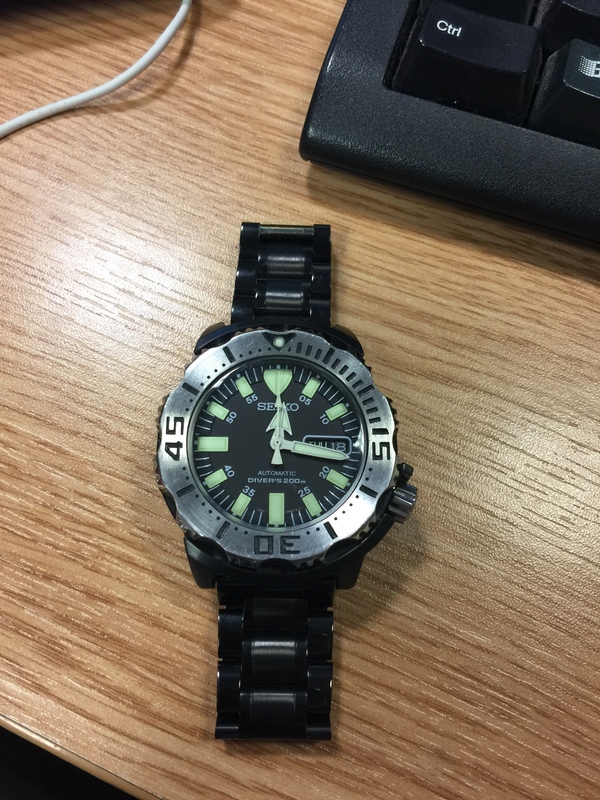 Not to worry, I've sourced a secondhand gen 2 black bezel from eBay. Happy days!